Welcome back, friends, as we set off on another journey down the roads and head to our next stop. This weeks story comes out of one of the darkest times in our nation’s history. 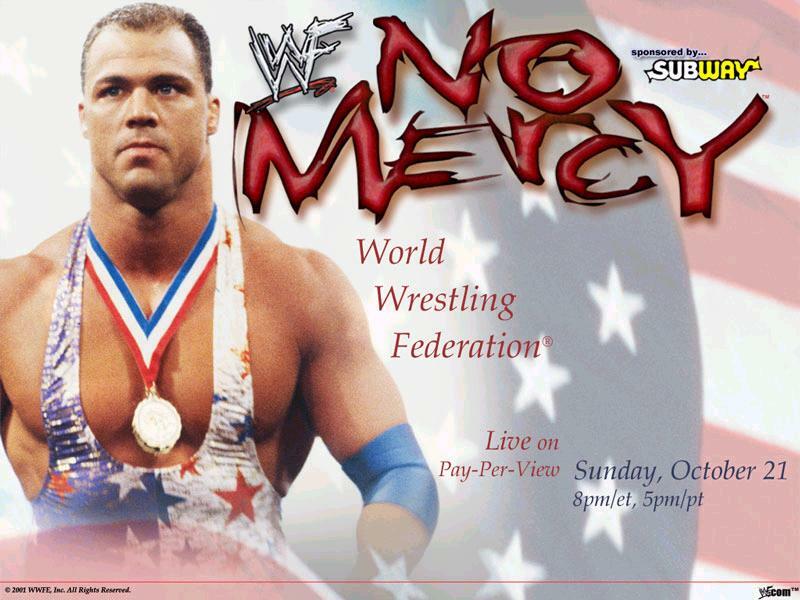 Come back with me now, to October, 2001 and the No Mercy pay per view event in St Louis, Missouri. To say that this was a tumultuous time in America as we were still reeling from the events of 9/11 would be an understatement. Several large public events had been canceled in the week or so following the disaster, and it was still unclear in the media if No Mercy would even go on as planned. Knowing Vince McMahon’s record for standing up in the face of adversity, there wasn’t any doubt in my mind whether or not the event would happen. Like many other road trips, I was running solo on this one. I headed out just after two o’clock that afternoon for the hour and a half ride up to St. Louis. The nice part about going to see a live show in the city is the new Metro-link train that runs from the Illinois side of the Mississippi River, all the way through St. Louis, out to Lambert Field Airport and back. I pulled into the Swansea Station, had a nice smoke before boarding, then headed out to the Saavis Center for the show. As the train drew closer to downtown more and more people were boarding with WWF gear on. This was back before the World Wildlife Fund has won their court case and the amazing “Get the F Out” campaign that followed. The WWF and the Alliance were still locked in a bitter feud to see who was going to take control of the company. Now, while many claim that the years between 1996 and 2000 to be the greatest years in professional wrestling for on air product, I’d have to disagree. While they were laying the foundations for a legacy, I would say that the those days , following the Monday Night Wars, when we saw the competition between WWF/WCW peaking gave us some of the best content. It was during this time that we saw, without a doubt, the greatest out of the arena spot to ever air as Stone Cold and Booker T tore through a supermarket. 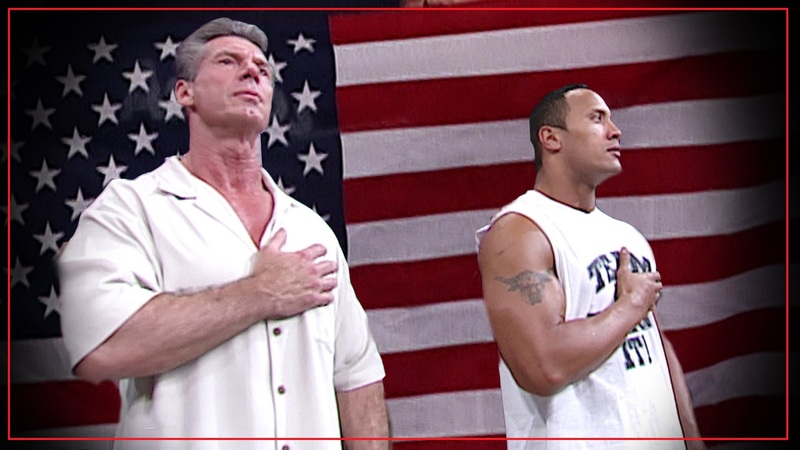 We were also blessed with the chemistry of Kurt Angle, SCSA, and Vince McMahon as they gave us the cowboy hat and guitar singing moments from the locker room. It was this relationship and the deterioration between SCSA and Angle that led to the main event of the No Mercy PPV that October. When the train rolled into the Saavis Center Station, the platform was already packed with fans clamouring up the hill to the front entrance of the venue. The local radio station was set up and broadcasting at the main doors as they gave away tickets and merchandise. Now personally, I never feel safe or comfortable in the midst of the herd, so I worked my way to the area by the east entrance, near the statue of The Hare, of Tortoise and Hare fame to have one last smoke before the gates opened. I always enjoy the time just before the event starts because you inevitably see some drunken rednecks trying to put on holds and land moves on one another as the adrenaline beings to surge. It’s the best pre-show there is. The doors all popped, and the crowd started to line up to be checked as we entered. I have been to many, many live events, but the level of security around the arena that day was unprecedented in my years of attending shows. Now these days with TSA and all the other things we have become accustomed to, it doesn’t seem like a big deal. But in the days following the 9/11 tragedy, none of us were used to, or prepared for those heights of inspection. After going through the first metal detector, they check all of our signage and confiscated some that were deemed inappropriate for the show. They ran over us with handheld detection wands as they did this, and then moved us along until we went through a second metal detector to get inside the arena interior. Though many of my signs were in bad taste and offensive to the babyface workers I was there to jeer, none of were taken. I did my usual arena walk around, grabbed a drink and headed to my seat. The place was filling up fast and the Sunday Night Heat show was set to start very soon. Lillian Garcia made her way to the ring, and just as she did the Titantron crackled to life with the large, beaming grin of sarcasm on the face of Vince McMahon filling the arena. He informed the crowd that this was the largest indoor gathering since September, and that the Saavis Center was at capacity of over 20,000+ fans that night. He thanked everyone for showing their support of the WWF, and said that there wasn’t anything or any group of terrorists that were going to scare them away from giving us the best show they could. His patriotism and love of our country was more evident then, during that time, than it had ever been before. He cut away, and Lillian belted out one of her best National Anthem performances that I had or have yet to hear to this day. The chant of USA that went up afterwards sent chills through my body and brought a tear to my eye. Without any reservations, I can say that this was the loudest, longest sustained pop I have ever heard. I could only liken it to the story in biblical times of city of Jericho and the tumbling of it’s walls at the roar of the people that surrounded it. I thought the roof was going lift off the place. The show that evening did not disappoint. We saw The Dudleys face off against Big Show and Tajiri. The Undertaker was in action against Booker T. During Torrie Wilson and Stacey Keibler lingerie match, Miss Keibler’s ring gear had it’s famous malfunction and almost gave us a bigger show than we bargained for as that match had to be cut short. Y2J took the WWF Title off of The Rock. One of the mostly highly acclaimed matches saw the implosion of the Edge and Christian partnership and they battled for the Intercontinental Title in a barn burner of a ladder match. Finally, the main event saw Stone Cold Steve Austin in a triple threat match against Kurt Angle and Rob Van Dam. Every single match brought it, and the entire show was strong. It’s been almost twenty years since then, but I will never forget that event. People can say what they like about the wrestling business. It transcends many other things in life for me. It’s not because of the pageantry, or the bravado, or the over the top characters and workers that drive the soap opera like story lines. It’s that feeling you get in your gut and the lump that raises up in your throat at times like the one in this story. It’s the heritage, and legacy that comes of being a part of something greater than yourself. Maybe that seems like a romanticized view of things, but it’s truth about how I feel about the wrestling business. Stand by what you love and never let anyone take away from you because of it. Even all of you fat, out of shape, sweat hogs out there that need to be shown how a real man looks in the ring. Hahahahaha….sorry, I just couldn’t resist! !